"Sweet, tangy, and spicy...Great addition to ribs, chicken, or pulled pork (ESPECIALLY pulled pork sandwiches.)" Bring vinegar to a boil in a saucepan; add habanero peppers, onion, garlic, red pepper flakes, cayenne pepper, mustard, white pepper, and seasoned salt. Allow mixture to return to a boil, then stir in brown sugar and ketchup. 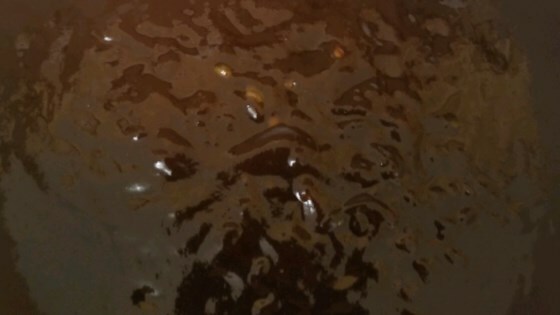 Boil sauce for 15 minutes, stirring constantly. Reduce heat to medium-low and simmer, stirring occasionally, until thickened, 30 to 45 minutes. Cool and serve. If you prefer a chunkier sauce, let cool and serve; If you are bottling sauce, strain, bottle and chill. If you like thick, sweet and Spicy BBQ sauce this recipe is for you! Emphasis on spicy! One of my favourites. To make it into a really good sweet BBQ hot sauce, add 6 or 8 serranos and don't strain before bottling. I eat it on pretty much anything.